It's official: Hyundai has announced that the 2015 Sonata Android Auto upgrade is available at some Hyundai dealers, and that others will follow in the days and weeks to come. 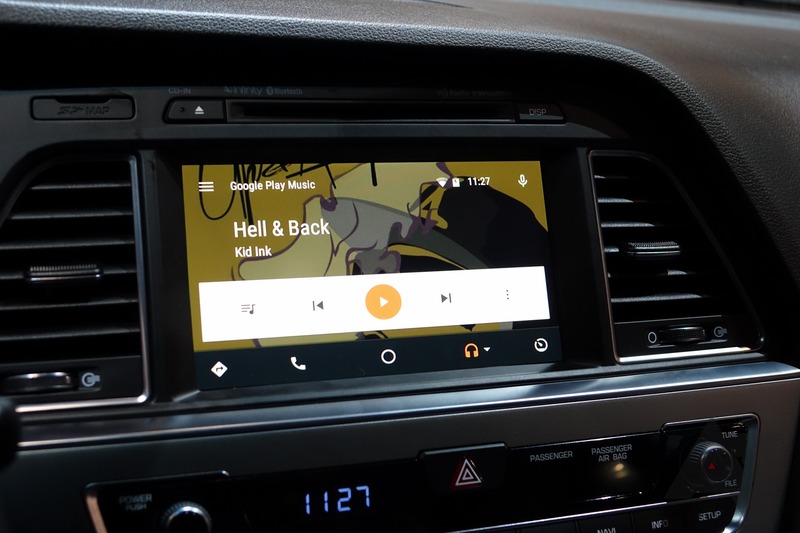 According to the fan-owned Hyundai Forums, if you walk into your Hyundai dealership in the next week or so with your 2015 Hyundai Sonata with Tech Package (meaning the large screen navigation system upgrade), an Android Auto upgrade should be there for you. And if it isn't, it probably will be shortly (like, this week). One owner already has the update flashed to his car (pictures are there in the thread for registered users, if you want proof), and along with the Hyundai service notice above, should make it obvious this thing is ready to go. Other posters are reporting their local dealerships are still waiting on the software to come via mail on a USB drive, but once that happens, they'll be ready to update cars, as well. Call up your local dealer if you want to know the status of the update in your region (granted, it's Sunday, so the service department is probably closed). Again, this applies only to 2015 model year Sonatas with the appropriate infotainment system, meaning the large 8" navigation-equipped module. Other models are not eligible for Auto at this time, and Sonatas without the right system aren't eligible, either. It's not clear if there will eventually be a "DIY" flash option for the software, but for now, it looks like you'll have to head to the local dealer. Which will be completely worth it. 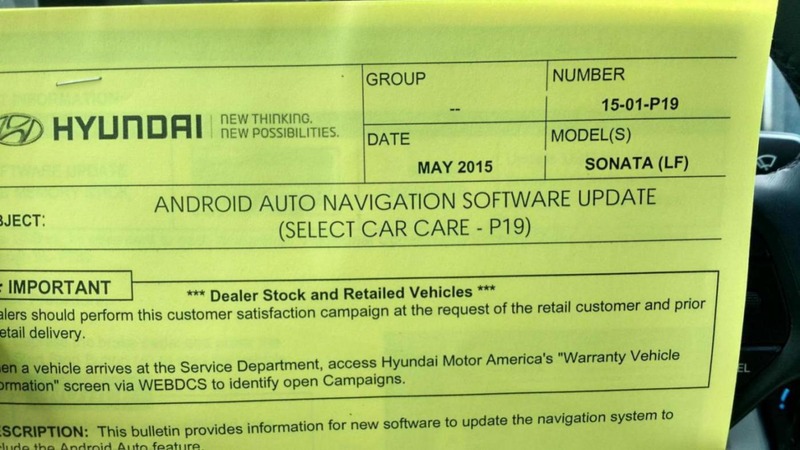 It's official: Hyundai has announced that the 2015 Sonata Android Auto upgrade is available at some Hyundai dealers, and that others will follow in the days and weeks to come. A tip from one of our readers: if your service rep at the dealer has no idea what the Auto upgrade is, just tell them to look up service bulletins for your car based on the VIN - it should show up if they actually do it. I've heard anecdotally that some dealers also don't expect to receive their copy of the update (it is a physical drive) for up to two weeks from now.